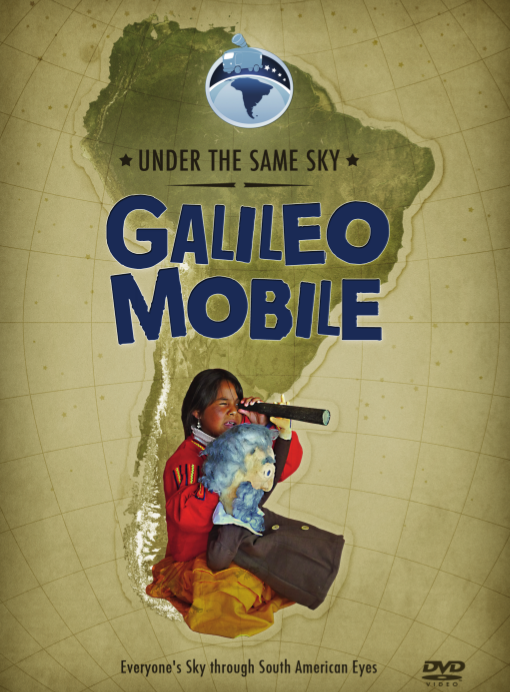 Early July 2013, our GalileoMobile member Lina teamed up with NUCLIO, Núcleo Interativo de Astronomia, and ACAPO, the Portuguese association for the blind and visually impaired, to present the Europlanet Outreach project Meet our neighbours! Meet our neighbours! 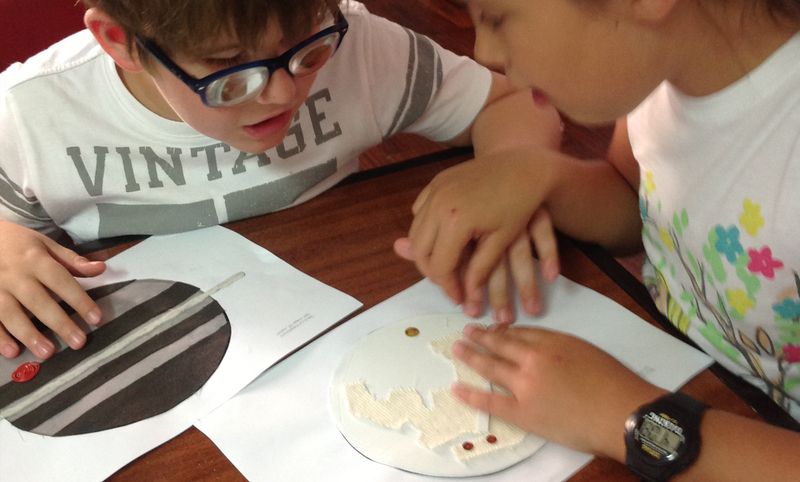 is a project that aims to provide and make accessible low cost tactile images for visually impaired children. 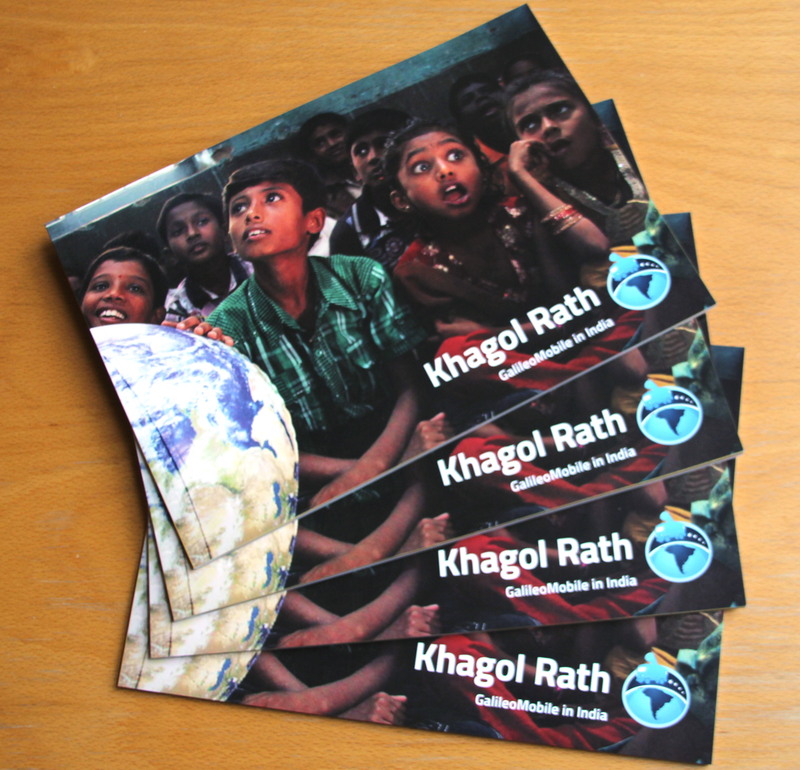 In the pictures below you can see how some of our tactile images look like. These are made from materials of different roughnesses, textures, and shapes to imitate the appearance of astronomical objects. During the activities the children explored the surface of the images. This way they got to learn all about our solar system neighbours and explored their main features and characteristics. They even built tactile images of their own and presented them to their peers! You can visit their gallery here to see more of this incredible tactile images. 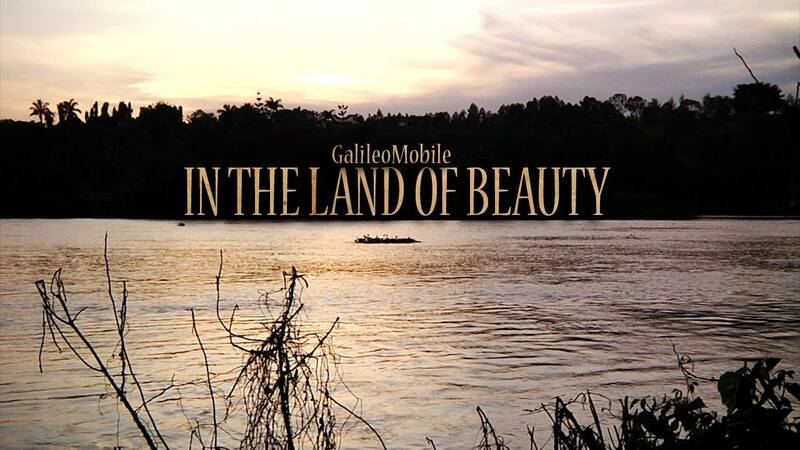 This entry was posted in Uncategorized on 22 July 2013 by GalileoMobile.